ST. JOHN’S, NL – A new book that aims to be “The definitive guide to beer on The Rock” is now available. Newfoundland has a long history of local brewing and in recent years has enjoyed a resurgence of that tradition, drawing locals and travelers alike to the distinctive tastes now available from island brew masters. Compiled by the writers and photographers of The Overcast, Newfoundland’s popular alternative newspaper, the Guide to Beers of Newfoundland is a full-colour introduction to the lagers, pilsners, ales, and stouts that can only be found here. Designed for locals, tourists, and aficionados, this is the definitive guide to beer on the rock. 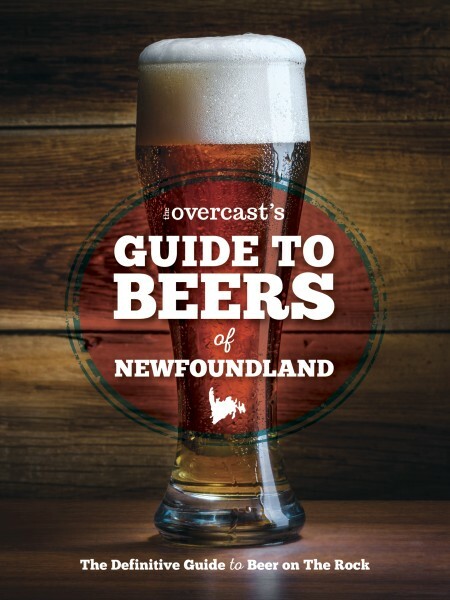 Published by Breakwater Books, The Overcast’s Guide to Beers of Newfoundland is an 80-page hardcover book with a suggested retail price of $19.95. For more details and ordering links, see the book’s info page on Canadian publishing website 49th Shelf.